Thank you to all those who attended parent/teacher meetings this week. We hope you found them useful and informative. May we remind you that we are always available to discuss any worries or concerns that you may have. Please catch your child’s class teacher at the start or end of the day to make an appointment or phone the school office to make an appointment. Please remember, if you have not already done so, to return your completed parent questionnaires by Monday 22nd to enable us to analyse them. If you did not collect a copy at parents evening you may collect one at the school office. Congratulations to Dr Bruce Pilbeam who was appointed as our new parent governor. Thank you to all those who voted in the election and also to the other parents who volunteered their services to represent the views of parents on the governing body. This link has also been put on the parent information section of our school website. Please note, that at present, you are unable to gift aid your declaration on line so please still fill in the remittance slip to let us know you have paid and also to allow us to claim back the gift aid retrospectively. 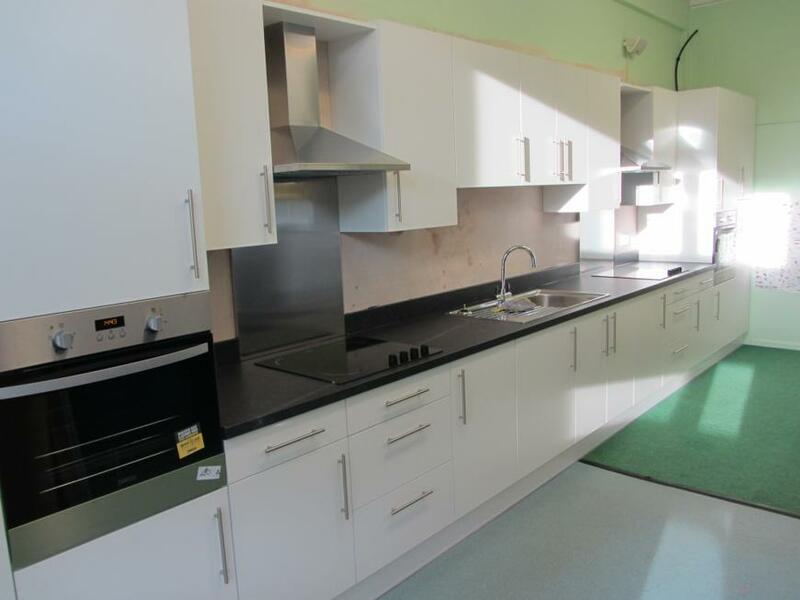 I am pleased to report that works to the new Children’s Kitchen have almost been completed (see picture attached) and we are currently developing plans for children to use this area to enhance their learning in the curriculum and for extracurricular activities. Children in Years 2 and 3 will be taking part in an Eden Food Services course. This will involve taste testing food, making things to eat and learning about eating healthily. The session will last for 40 minutes and is run by a member of the Eden Food Services team. The course is fantastic and a lot of fun for the children to take part in as it will link to their current learning. All children across the school will take part in one course during the year and we will let you know the dates for other year groups as they arise. On Wednesday, children in Year 6 will be participating in Swing dance sessions to support their topic learning! On Thursday the school nurse will be carrying out the Year 6 height and weight checks. Apologies that this was rescheduled, the letters were not delivered to us in time.